I honestly cannot get enough of this series! Just when I think nothing else can possibly go wrong, R.S. McCoy finds a new way to shake things up. I need resolution in my life and all these "wait till next time" endings are killing me! Why can't everyone just be happy, safe, and intact!? 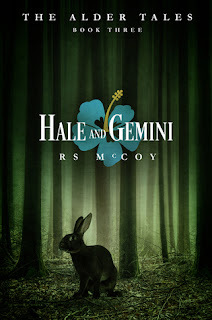 Ok so let's start with the main characters in this book, Hale and Gemini. My feelings for Hale have evolved over the course of the books. In the first book, Blossom and the Beast, I thought Hale was a caring, protective brother. If you told me then that he was going to get his "own" book, I would have been fine. In book two, Raene and the Three Bears, I was not on team Hale. He was not at all right for Raene and I didn't like how instead of embracing her differences, he tried to change them. Now, in Hale and Gemini, I have come to respect him. I have gotten to know his thoughts and feelings, seen how he is with Gemini, and saw how he had made huge realizations and personal growth. I definitely think Hale is a good guy now. Gemini is a character who has played such a small role in all of the books that I really never formed an opinion of her. When I saw what the title was going to be for book three I had to remember who Gemini was. After reading Raene and the Three Bears I was still really confused, because she has always been with Asla, but once I started reading this book it finally all made sense. Now that I have gotten to know Gemini, I love her. She is such a great friend and she deserves all the happiness in the world. I can't wait to see what her future has in store. Lastly, the action. Just like in the two previous books, this one was packed with action and drama. I feel like it took me forever to get through book two because I was just so devastated by the ending of book one. This one I flew through because I was so invested in all of the characters and storylines. I am so sad that the next book will be the last, but I am also so excited to read it too. I don't want this series to end, but I cannot wait for some resolutions! 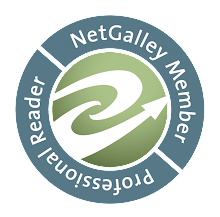 You would think that adding two more characters in this alternating POV series would be seriously confusing, but it was actually very easy to follow. The characters are very easy to identify and are vastly different. I didn't have trouble following it at all. Hale and Gemini were great characters to add in the mix and I am excited to see where their lives take them. I CAN'T WAIT TO READ THE SNOW OWL!! !